We are the doctors that help Diabetics reverse their disease while reducing and even eliminating their medications, including insulin. 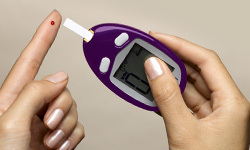 You deserve to know the truth about Type II Diabetes. No One Has Helped You Figure Out the CAUSE of YOUR Diabetes. Treatment with drugs does not address the root issues for each individual. No Two People Have Diabetes for the Same Reason. Many Diabetics are treated like just another member of the “Diabetic herd”, and not like individuals. Treatment for Diabetes Needs to be Customized. Every single patient is different and requires a different type of care. We test all our patients to design the program just for YOU! Up Till Now, You Have Been Set Up for Failure. Federal guidelines force your doctor to put you on medications designed by the drug companies without looking for the cause. The side effects are eventually dangerous to your health and your life! Reversing Diabetes Means You Will Reduce the Need for Medication, Lose Weight Without Exercise, Get More Energy and Improve the Quality of Your Life. Your Diabetes CAN be Reversed Regardless of What You Have Tried in the Past. What is ironic, we find that some of the things you have been doing so far might actually be causing your Diabetes! Diabetes Is NOT YOUR FAULT. Your physiology has changed. In every case, the insulin receptors are not functioning properly due to a variety of underlying issues. Improving the physiology results in reversing your Diabetes. Not Everyone Can Be Helped. Not everyone can achieve this. We accept patients into care based on their level of health, motivation and commitment. When you schedule a consultation with me, Dr. Duane Marquart, D.C., I will discuss your problems and answer ALL your questions. I will thoroughly explain the program as well as our clinical model. We will go through a complete Type II Diabetes qualification case history and questionnaire to help determine if I can help you. If I can’t help, then I will tell you I can’t help. Please feel free to bring all your medical records. I will go over them to make sure nothing has been missed. I can’t tell you how many times I have found something that has been overlooked and could completely change your prognosis. If you do qualify to be accepted, we will discuss the next steps to the road to recovery. Our goal is to help you reverse your Diabetes. The programs are not easy. You will not only have to work hard, but be motivated and have health as your number one priority. I promise we will do everything possible to help you overcome any potential obstacles. I look forward to meeting you at your appointment. Get your complete 18-page diabetes report.